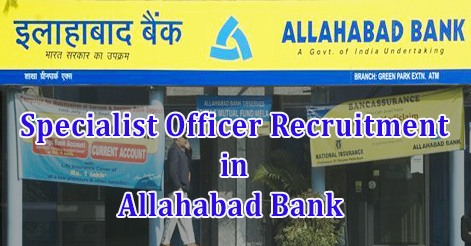 Allahabad Bank has released an advertisement for the recruitment of Specialist Officers (SO) in various participating organizations from all over India. Total No. of Post is 92. Allahabad Bank invites applications from Indian Nationals for the post of Specialist Officer (JMG Scale-I & MMG Scale-II) in various specialized fields. Interested candidates may apply online from 09 April to 29 April 2019. Max.-35 Years Graduate in any discipline from any recognized University. 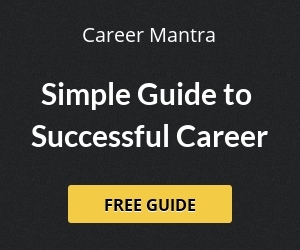 Minimum 5 years as Junior Commissioned Officer and equivalent in the Indian Army/ Navy/Air Force OR 5 years as a Police Officer in the rank of Inspector OR An Officer of identical rank in Paramilitary Forces with minimum 5 years service. Max.-35 Years B.E. (Fire) / B.Tech. (Safety & fire engineering) / B.Tech. (Fire Technology & Safety Engineering) From recognized institute Minimum 3 years in Fire safety including fire & safety of high rise buildings. Max.-35 Years A bachelor degree in Law (LLB) Enrolled as an advocate with Bar Council and minimum 3 years experience of practice at Bar or Judicial service and / or minimum 2 years as a Law Officer in the Legal Department of a Scheduled Commercial Bank or the Central / State Government or of a Public Sector Undertaking and candidates should produce a certificate of having requisite post qualification work experience from the Court / Bar Council / Organization. Max.-35 Years 4 years Engineering Degree in Computer Science /Computer Applications /Information Technology / Electronics / Electronics & Telecommunications / Electronics & Communication / Electronics & Instrumentation. Additional Qualification Microsoft Certified System Administrator, Associate level certification in System Administration Minimum 2 years experience in maintenance and administration of Operating Systems e.g. Windows, Linux, Unix, Aix, etc. Selection of the candidates will be based on Online Test and Personal Interview. Please check the official notification for scheme and syllabus of online examination. Help us to improve this article/job posting "Specialist Officer (SO) Recruitment in Allahabad Bank". We would be glad if you can comment below and provide your valuable suggestions and feedback. If this page have any wrong information/list or out of context content, then you can report us as well.